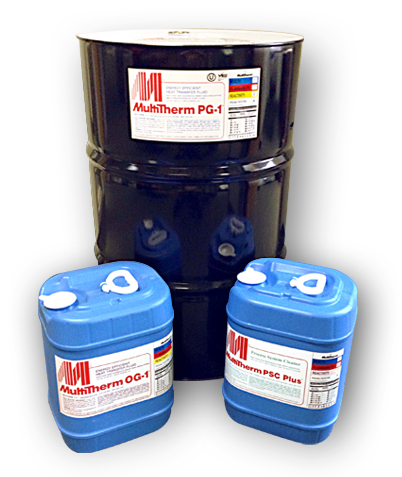 MultiTherm supplies a variety of heat transfer fluids, which can be used for a number of high-temperature and low-temperature applications. Heat transfer fluids aid in preventing corrosion within the cooling system of a machine, all while being non-hazardous. Help your machines to attain long services lives with MultiTherm's line of heat transfer fluids.